The killer shopping season starts soon, welcoming the beginning of Christmastime. Shoppers around the world are looking forward to browsing for those items they've waiting the whole year to be finally on sale. Online retailers are expected to receive massive loads of traffic and simultaneous requests from splurging shoppers. These can potentially crash your site or make your pages load slowly. 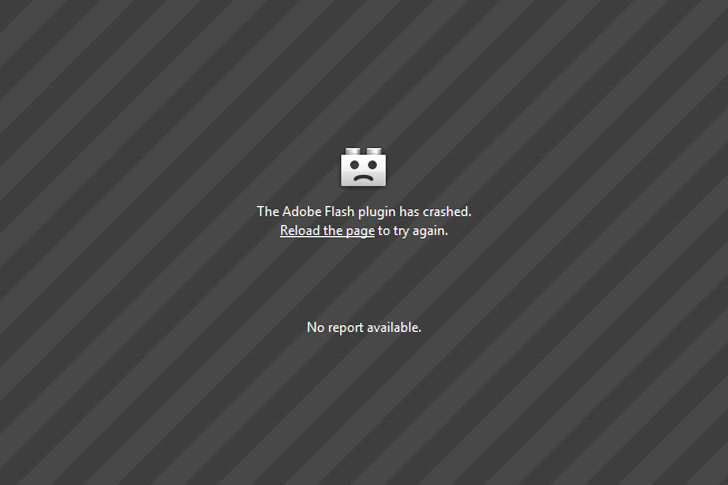 Nothing displeases a customer more than a website crashing while they are browsing. They'd be happy to go to another website, and are unlikely to revisit you. Their experience with your website may have made an awful impression. They may even think that your website is unsafe. Your customers have nothing to lose, but you do. All your preparations will be in vain if your website is down when it's needed the most. At this time of year, you must be certain you can deliver your customers your best service. Make sure your website is up for the challenge of handing a great surge of traffic. Consulting with your web hosting provider is necessary. Your web host should be able to keep your site up and running, with 99.9% uptime and 24/7 expert support guaranteed! Should your website suffer any downtime, then your web host should be able to fix it right away before any damage has been done. Now, with the holiday season drawing near, you may consider upgrading your web plan so that your website can handle the customer traffic. Cloud hosting is your best choice for this. With cloud hosting, you give your website a blazingly fast loading speed. With solid state drives across a multiple-server cloud network working together to host a group of websites, your website can handle higher levels of traffic and complex web processes. Also, this cloud hosting comes with a huge 500GB webspace that allows you to upload large files – videos, audio, etc. This also speeds up content delivery to your customer. You must also ensure that your customers, their transactions, and their browsing is 100% secure. A site's verified SSL security certificate is indicated with a green padlock in the address bar beside HTTPS. SSL encrypts information that two computers exchange, especially protecting your costumers' sensitive data, such as their credit card numbers and passwords. Without SSL, any data transmitted over an unsecured network is viewable by a third party. Almost as bad, Google's Chrome browser is marking websites without SSL as unsafe – which could make you lose your business as customers choose to shop elsewhere. With the shopping season nearing its peak, your website should also be in its peak performance. With reliable web hosting and SSL you make your online transactions faster and safer; definitely a big win for you and your customers. Don't hesitate to make the best out of this holiday season. 10 last-minute preparations for Black Friday! 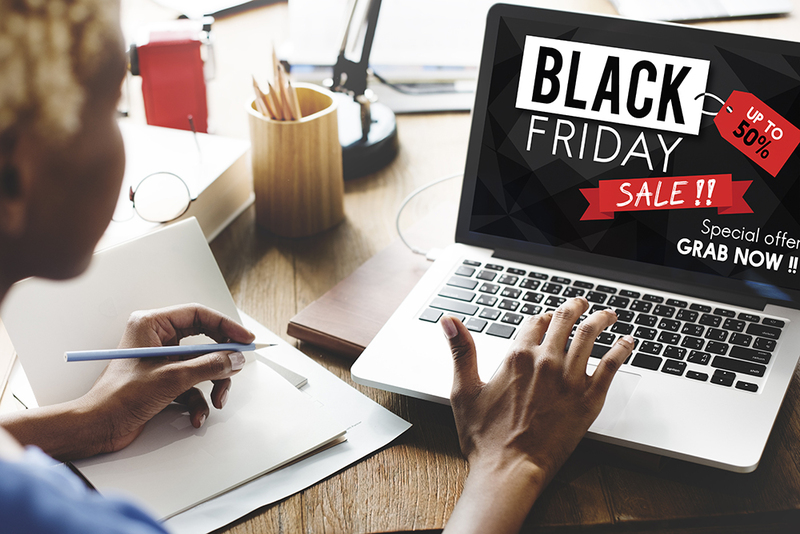 With only days before it's Black Friday once again, we present a list of last-minute preparations to help you prepare your online store for the holiday sales. Proofread your website content and promotional emails. Check not only their grammar but also their embedded links. You don't want to lose a buyer just because of a typo or a link that is not working. Review your website's landing pages. Make sure that your displays are updated and all set for Black Friday. Also, run through your website's navigation and check your links direct to the right pages, especially your CTA banners. Prepare your website for increased traffic and simultaneous requests. Test your website's load capacity through LoadImpact if it can handle spikes in traffic. A great surge of traffic could possibly crash your website. Add a countdown timer plugin to your website to create suspense and urgency in your sales. It is proven to drive more sales by putting your customers into a buying state of mind. Schedule your promos and sale announcements using social media. Interesting pictures and videos can help you get better engagement. You can even broadcast live – but make sure you're available and ready to respond to your customer's queries during that time. They'll be expecting your response. Put your best foot forward. Present your best customer service, and offer what you can to assist your costumers. Black Friday is not only a great avenue for sales, but also a chance to get long-term customers and a great opportunity to market your brand. It's a good time to leave great impressions. If you deal with physical inventory, take one last good look at your stock levels. Make sure your item count is accurate and all your items are organised and ready for both sales and shipping. Don't be afraid of upselling. There's always the chance that some customers may opt for a more expensive alternative if they understand it's worth its price. Genuinely help them to find a better alternative. Remember to meet with your team to finalise everything, especially contingency plans. It's a joint effort, and everyone in your team must be on the same page. All your colleagues, partners, or employees must know what to do should any error occur, so that any incident can be addressed quickly. Don't forget to prepare special thank-notes for your top customers, and send them a message. They're likely to become long-term customers. If you can personalise the message, all the better. Still, thank all of your customers for showing an interest in your products, and they will return – especially if they liked the experience. Above anything else, here's something you should not forget: always take note of what went right and what could you have done better. Know that all the things you've learned from this holiday sales experience can be applied in your future endeavors. Now that it's November, everything seems to be rushing headlong into the holiday season. If you don't have a marketing plan in place yet for the holidays, then you better establish one fast. 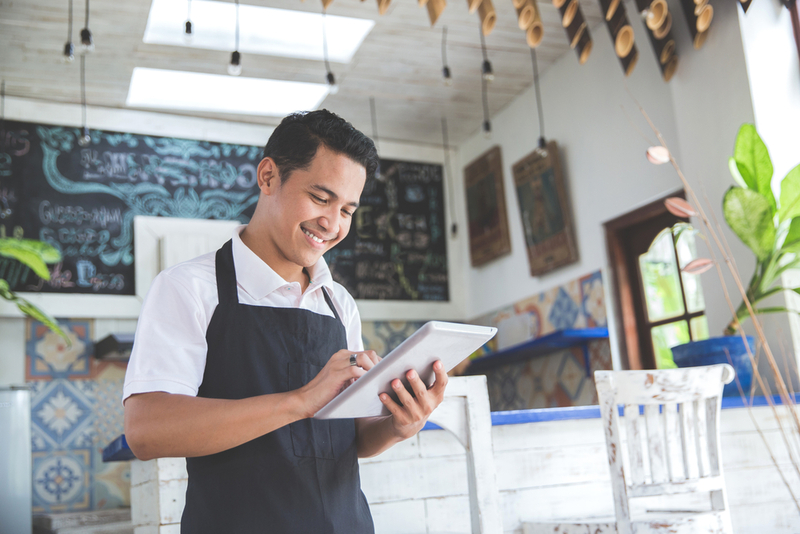 For small businesses, no reminder is needed that the holiday season is full of shopping, especially online. Moreover, mobile shopping is expected to boom this season. To give you more of an idea on how to approach the season of giving, we have some tips here for you. The idea is simple: take your marketing to the next level! Your customers need to be reminded, now more than ever, that their continued loyalty is much appreciated. Personalised cards or emails are the perfect way to show them this. You can also include cards on their orders or give them out with each purchase at your physical store. To get more hype around your business, think about launching a contest or hosting an event to spread the holiday cheer. Giveaways are also good little reminders of your service. Company gifts such as calendars, mugs and more are a good option, as are useful items such as gift wrapping materials and other small items. Don't forget to stay competitive this season! Offer more holiday perks such as free gift wrapping or shipping, or discounts, rewards and redeemable points. Customers expect many sale events across online retailers and brick and mortar shops. Take note of the big sale days and get into the spirit. As one of the biggest sale days of the year, Black Friday is an unmissable opportunity for small businesses. Start the hype early on and get your customers excited about your exclusive deals. Make sure to limit the supply or availability to create an environment of urgency. Choose the products that are in high demand and give your customers a deal they can't refuse. This particular Saturday is dedicated to small businesses, especially promoting local retailers. This takes place between Black Friday and Cyber Monday, and encourages people to support independent businesses by shopping small. Special deals and offers are a must for this day. Cyber Monday is for online shoppers who can't get enough of holiday deals. Be sure to take advantage of the hype by offering more deals or tying up the shopping weekend with rewards or coupons from the Black Friday shopping spree. Get more exposure for your brand by getting bloggers, online magazines or articles to feature you on their gift guides. Local publications or influencers would be a good place to start. Getting on all your local listings has never been more relevant! Your website should be ready and amped up for the holiday season. Make sure that you will be offering the best experience across desktop and mobile and that your site can handle the traffic. Scatter holiday wishes all throughout. If you have a physical store, it's time to bring out the decorations and help make your customers feel the season to the full. Giving gifts during Christmas shouldn't be limited to loved ones and customers. A great way to show you care is by giving back to a good cause. Look for a community or charity in your local scene that you care about and donate some of your proceeds there. You could also encourage customers to support your chosen cause or hold drives to raise more funds. Nothing compares to the holiday season when it comes to deals and stuff you can't get for the rest of the year. Make sure you make it count for your customers and offer them the real deals of the year. Some businesses think that launching a website and creating social media profiles are enough for a good online presence. While these things are essential in getting online, it has to be more than that. Here we'll explore more of the things you can do to improve your online presence and get stronger results. Your website is an important aspect of your online presence. It's your business card in the online world. Keep it simple and professional-looking, with all the information your customers need, such as your 'About' page, your contact information, reviews, and products or services offered. Constant work means you need to keep your content fresh and updated. This is especially relevant as fresh, quality content gives your search ranking a boost. Make sure it's optimised for mobile use, has quick loading times, and has easy click-to-call buttons. While being on social media is essential for business, it doesn't mean you have to be on all the big platforms. The best way to build a social presence that matters is to focus on just one or two channels. This is how you can make sure you can effectively grow and manage your social profiles. The top platforms are Facebook, LinkedIn and Twitter. Facebook is best for sharing stories, while LinkedIn offers networking opportunities, and Twitter is excellent at starting conversations. Spend time curating content that customers will be interested in, and reserve only 20% to push your own content. Use a social media management tool to schedule your posts ahead of time. Don't forget to get your business listed so that customers can find you when they search locally. A blog helps you build the voice of your brand in one place, using useful content that people can share. But don't be limited to blog posts. Explore more forms of content to entertain and inform your customers. Good examples include infographics, case studies, eBooks, videos, and podcasts. Just as you shouldn't limit yourself to blog posts, you can also go way beyond your blog and take your content elsewhere through guest posting. Big authority websites can offer a lot for you in the way of traffic. Make sure your guest blogging is done for your brand building and not for pure promotion and linking. Email marketing isn't just about sending a message blast to promote sales and offers. To make sure that you're getting your customers' attention, keep your messages focused, and send your emails at the right time. Test for the best time to send your emails to make sure you get the most click-through rates. Sending outside the usual morning hours has been found to produce more results. To keep your emails interesting, craft 'thank you' messages and reward your customers with more perks to remind them of what you have to offer. When customers are given too many product options, they can get indecisive. To help them with their decision-making, offer them your selection of the best options. Include what they'll get with each offer, and how it will suit their needs. This way, they can reach a decision more easily. In the business world, you are compelled to move fast at all times to keep up. However, to create an SEO strategy that works, you need to be patient. Building a strategy that produces the best results can take some time. It would involve testing and changing your approach, and constantly monitoring your results. The payoff will be worth it, given the click-through rates offered by the top positions on search results. To get a good start, use a tool that lets you improve your visibility online without needing any technical knowledge. Now that you know what more you can do to improve your online presence, it's time to get moving. In the address bar of your Chrome browser is the URL of the site you have visited, beginning with https://. This handily designates that the website is secure, and is using SSL, or Secure Sockets Layer. SSL is a standard protocol for security that ensures that links between web servers and browsers are encrypted. Guaranteeing safe transactions involving credit card numbers, SSL also protects passwords and other personal information on e-commerce websites and beyond. The security offered by it has made it an indispensable tool for the online world in an age when more security breaches are happening. For this reason, search giant Google has this month upped the stakes on websites when it comes to SSL. On 1 October, Google released an SSL update that enforces stricter measures against websites that don't provide SSL security. Starting this month, websites without SSL certification are now conspicuously marked as unsafe when visitors click on them. Since Google's Chrome browser claims 44.5% of web browser use this could spell disaster for websites without SSL. Google has been marking websites without SSL for some time using a red X in the browser bar. But this time, the warning has been made more visible, and could lead to visitors feeling unsafe and choosing to visit somewhere else. The update was made by Google to make sure customer data is protected. Users will also be made more aware of the risks related to sharing information over an unsecured website. Even though the warning will only appear on Chrome, for now, the sizeable traffic chunk should be enough for websites to start securing their websites. It's unlikely to take long for other browsers to follow Google's lead. Fortunately, it's not too late to acquire a strong SSL web security solution. To make sure that your website is SSL-aligned, check how your web address looks in the Chrome browser bar. If it begins with HTTPS with a green “Secure” label, then you should be up to date. Websites without SSL will now be marked with a “Not Secure” designation in the browser bar. The update will be implemented on all HTTP websites, regardless if they have passwords, credit card data, or form fields or not. To avoid getting your users diverted to competitors due to an unsecure website, invest in an SSL certification. A variety of SSL solutions offered online meet the requirements needed for a “Secure” label. The prices and features vary from each provider, and there are different packages for everyone, from small businesses to e-commerce sites and bigger websites. Once you've purchased the SSL solution that fits your needs, make sure that your website is updated and the feature is properly installed. Find the best SSL solution for your website online. Start today and avoid getting pinged by Google. Remember that site visitors can be fickle and easily put off. Don't let them visit your site and see a visible security warning, or they might not stick around. Get protected. Announcing: Do It For You! Websites are basically virtual business cards, through which customers find information about your business and what it can do for them. Online is where many opportunities for businesses both big and small lie. This is why every business needs a website. Are you looking to launch your website but lack the technical knowledge to do it yourself? Do the time and money needed make it hard for you to decide how you can afford a good website? Then sit back and relax, because Do It For You is here! Most people these days go online to get local information, they use smartphones and computers to make decisions on what to buy and where. 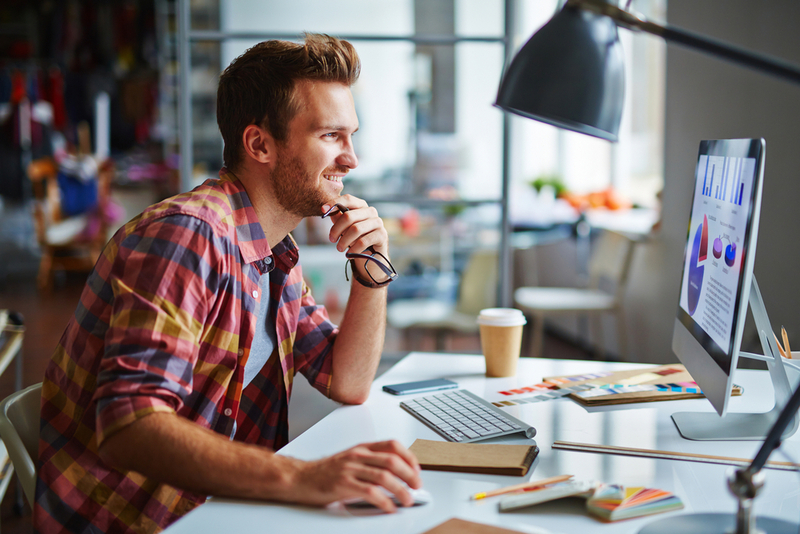 Businesses without a website can't take advantage of this opportunity. Having a website also gives your business legitimacy. You have the opportunity to show your customers how reliable and credible you are and why your offers will be of value to them. Websites have much potential when it comes to marketing, helping you build an online presence that will draw more people to your business. Through your website, you can gather information for lead generation and build your contact list of potential customers. More importantly, if your already have a physical store, people will likely wonder what your reason is for not being online. At Crazy Domains, getting you online is our thing. In the online world, your website is your number one business card, the key to getting more customers and building a reputation that can be seen in just a few clicks. A study by Clutch revealed that 25% of small businesses didn't have a website because of lack of technical skills, while 22% say they have a lack of resources to invest in a site. The same survey outlined the key benefits of having a website, including upgrading marketing opportunities from a local audience to a global one. Furthermore, a website is more cost effective than brick and mortar as more customers turn to the convenience of online shopping. 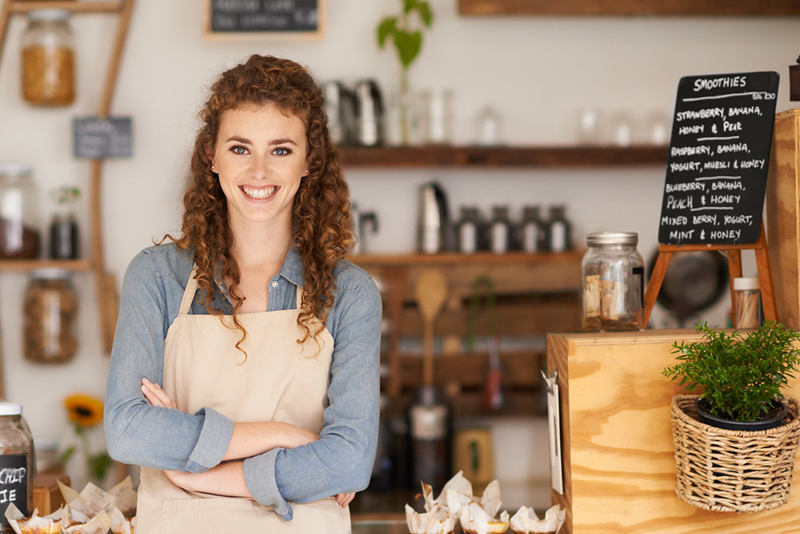 If you are a small business struggling with the same issues, then the time has come for you to lay your concerns to rest. Do It For You makes things simple and takes the stress out of building your website. The solution helps you do your thing, while your website is created in quick time. Book your appointment with our team, get on the phone, and have your business website created in 20 minutes. The affordable solution gives you a web address, email, hosting and design and build in one go. Remember that your customers can't find you if you're not online. Learn more about Do It For You and how it can help you get started here. Book your appointment now! Our friendly web specialists are waiting to Do It For You. Some things are a threat to your business. Some things are not. What's definitely not a threat is a planet four times the size of the Earth coming to destroy us all. Another day, another crazy conspiracy theory that the world is going to end. This time, it's not Mayan. It's apparently an ancient Sumerian prophecy about the fictional planet Nibiru. However, your website – and your business – could be threatened by other forces. Luckily, some things are still under your control, especially when you have the help of a Crazy online solutions provider. Rather than worry about losing your business to planetary destruction, worry about data loss. 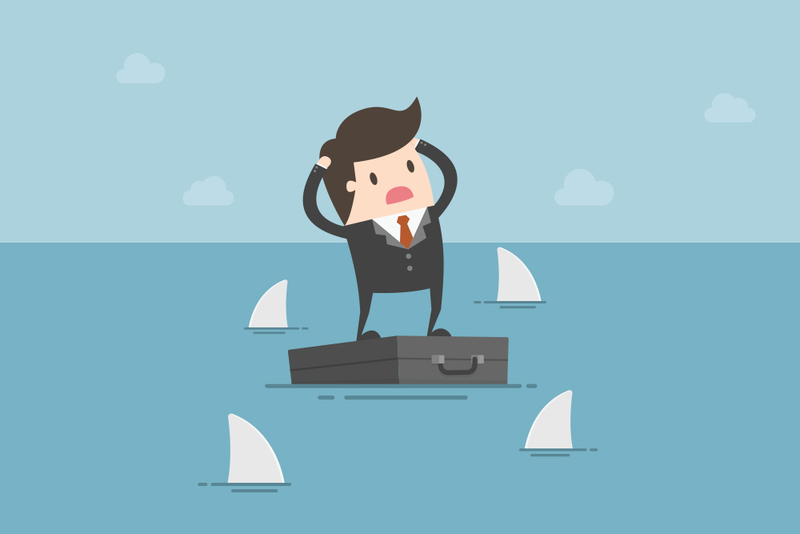 Losing any type of data can adversely affect your operations. Even when there is no financial risk attached to the data you lost, there can still be significant negative effects. This is especially true if the data happens to be unrecoverable. Consider this: 60% of small and medium businesses that experience data loss are projected to shut down within the next 6 months. As it happens, there is a way that you can protect all your files, photos and more. With Cloud Backup, you get unlimited backup for your PCs, Macs and other devices, all in one account. Any breach in security can be distressing, especially when you have to constantly worry about it happening again. To prevent this, make sure that you have proper security measures in place. With Website Protection and Scanner, you can rest easy knowing that your site is well protected against malicious hackers and other threats. Web design is a crucial aspect for any business. Not just the look of the site, but all of the functionalities as well. This is why you need to make sure that your website has a simple, professional look. Look into the web design of your site, or you can opt to create your own look and feel by going for an easy Web Builder that lets you create exactly what you want to see. Getting a website that's modern and professional is half the work. Other stuff you need to put focus on include being found online. This is why it's important for you to make sure that your website has the exposure that you need. Take the first step by making sure to incorporate SEO so that your website can be found by the right audience. The chances of your business getting annihilated by an alien planet along with humanity and everything else may be a long stretch yet. And while NASA has confirmed the presence of a planet in deep space, named Planet X, it's best to worry about things you can control. Extinction-level events tend to be unstoppable anyway. If it helps, scientists have already debunked the idea that a planet or any object of similar size will collide with or pass by the Earth and destroy us all. Time to go back to the real world, then. When do most people decide to purchase a domain name? Business owners come up with a name for their domain using a variety of reasons that may be unique to them. The timeline for choosing also varies. But how much does it matter when businesses decide to buy their domains? Here we’ll explore more. There are several general requirements for a domain name to succeed. It must be short and easy to type, with the right keywords, avoiding numbers and hyphens. Local targeting is recommended, such as incorporating a country code extension like .AU to let customers know where the business operates. The name also has to be fairly memorable, with the appropriate domain extension to go with it. These suggested practices are easy enough to follow, but can be made more complex if the chosen name has already been registered. A lot of extensions are available as an alternative option, or the business can just start all over again and find another name. Most people tend to decide on their latest domain name as soon as they have the idea to set up their website, whether for online business or for personal use. 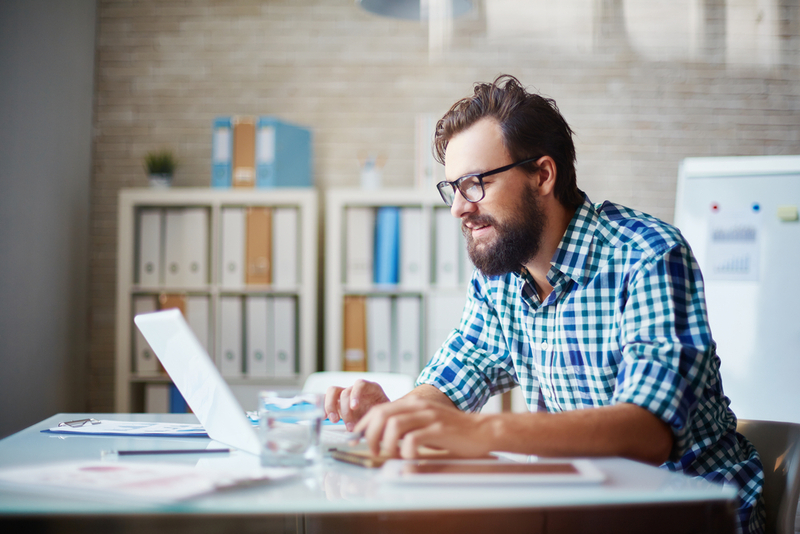 A national survey previously conducted by Wakefield Research had shown that about half of small business owners ended up not completely satisfied with their domain name. More than half would opt to change their existing domain name, if given the opportunity. Several contributing factors could lead to this mindset. 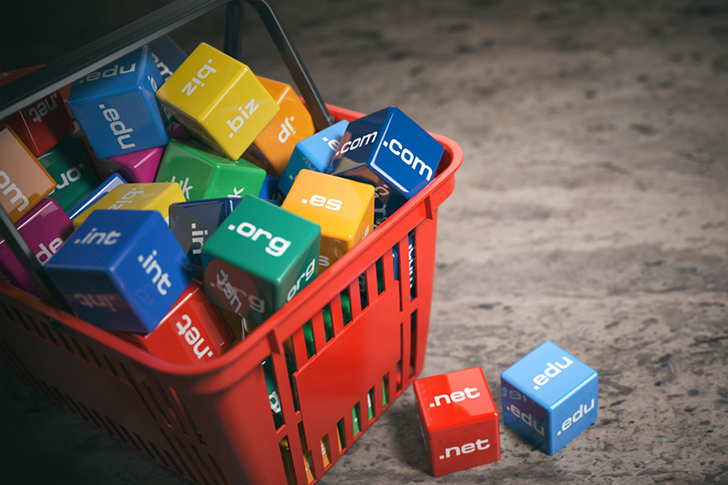 The study also showed that most small business owners lacked the knowledge to make informed decisions on purchasing domain names. Domain names are the equivalent of business cards in the online world. Having the right name can lead to more opportunities for the business. This is why careful consideration must be done. Naming too early in the idea stage can lead to some terrible domain names. Unfortunately, these get preserved on business cards for years. Registering too early pushes Australian customers who cannot register a .AU without an ABN to select a lesser known TLD. As a result, they miss the chance to build a solid online presence. Opportunities for localised reach and confidence in their brand will not be readily established. Research is the key. The best time to register a domain name is after significant research has been conducted. Businesses need to know the terms people are likely to look into in their particular industry. Business owners need to know as much as they can about their target audience and conduct several brainstorming sessions before making a final decision. This way, all angles would be considered and the value of the chosen domain name is clear. Domain names, like everything else that relates to business, need research and proper decision-making. While many domain name providers offer affordable registration, the value of the domain should not be taken lightly. It is the first thing that customers will know and keep in mind about the business, so careful study and decision-making are necessary.